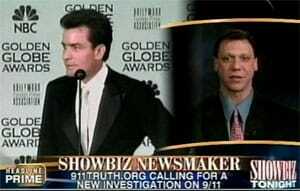 Will Charlie Sheen’s declaration of disbelief in the “official conspiracy theory” make it safe for the rest of us to finally say what we really think about September 11th? The time has come for you to say openly what you think about the unsolved crimes of September 11th, 2001. Yes, you. This isn’t to say that many people don’t still believe in the “Official Story” as the government tells it. But what about the many among us who just don’t buy it anymore? It’s time for Americans of conscience to show our elected representatives that they will be held to account. You’ve seen the government lie about everything else. (Iraq comes to mind.) And you’ve had your open questions. Questions about what this government knew before the 9/11 attacks. (The Moussaoui trial comes to mind.) Questions about what really happened on that terrible day, the suspicious timing and circumstances. About the way the heroes and victims are still being treated. The way the EPA told New Yorkers the Ground Zero air was safe to breathe, unfiltered. The way the questions of the September 11th families were ignored by official investigations like the “9/11 Commission.” The way the crimes in New York and Washington were used to justify wars that were already planned years in advance. But perhaps it seemed to you that it was unsafe to speak out. Or maybe unpopular. People might call you a conspiracy theorist. They might say you’re crazy, or call you names. They might say you hate your country, even if you know that you believe as you do because you love your country. Sinister types might write your name down on a list, or decide to harass you. Charlie Sheen spoke out on Monday. (See attached, ” Quotes from Charlie Sheen’s Radio Appearance .”) As a result, a 911Truth.org spokesperson was featured on the CNN “Showbiz Tonight” show on Wednesday evening, and the hosts were fair and balanced. (See attached, ” Quotes from 911Truth.org’s CNN appearance .”) We are not surprised that this is happening now. For three years the members of 911Truth.org have been among the leaders in the fight to publicize the lies and anomalies in the Official Story. We have campaigned for justice and accountability, full disclosure, and a real investigation of the September crimes. It’s been a long fight, but we’re still here, and we know that the tide has turned. In August 2004 we commissioned a Zogby poll that found that fully half of New York City residents suspected government complicity in the events of 9/11. Now that same suspicion has spread across the nation. The government myth of September 11th is over. The people of this country who already know they’ve been fed a line of lies about 9/11 are ready to speak out. And we’re going to see that we are not alone. It will become obvious that 9/11 skeptics are in a position to demand justice and accountability. Won’t you join us in taking back our country from the rule of lies? Charlie Sheen is the star of America’s top-rated sitcom. He probably has something to lose. But he thinks the truth is worth the risk. On Monday he went public with his disbelief in the “Official Story” of September 11th, stating plainly on the radio that he believes it is a lie. He joined hundreds of other luminaries who have risked demonization to step forward and announce they don’t believe the Official Story and they’re not going to let it rest. Scientists, writers, artists, politicians of the right and left, and a great many September 11th family members, such as those who signed “The 9/11 Truth Statement” at 911Truth.org. A Zogby poll commissioned by 911Truth.org in 2004 found that among New York State residents, 41 percent agree that government leaders knew in advance that the 9/11 attacks were coming, ? and consciously allowed them to happen – presumably with the motive of making possible the nightmare policies and wars of the last four and a half years. The same question garnered agreement from 49 percent of New York City residents. 911Truth.org is now raising funds earmarked specifically for a new national Zogby poll on questions of possible complicity. MIKE BERGER: Charlie Sheen raised several [questions]. First, I have to say, Charlie Sheen has really done his homework. There is a great deal, an abundance of information out there and it is hard to sift through what is fictitious information and what is based in fact. But there is a large body of information out there that contradicts the official story and Charlie Sheen has clearly done his homework. He raises credible questions, questions that family members have raised, that the 911 commissioners had promised them would be answered in their Report, since they did not answer those questions in the Commission hearings. ? And, when the report came out, Lorie Van Auken, one of the “Jersey Girls” – a year after the report came out – after her analysis of the final commission report, she stated that “the report actually raised more questions than it had answered. MIKE BERGER: “Like I said, [Sheen] has really done his homework and has been really impressive. In fact, Charlie raises the issue of a third building, a 47-story building, [WTC] Building 7, which collapsed at 5:20pm on September 11th, which was not hit by an airplane. So what we are asking for is, if this third building collapsed at 5:20, which the media really has not shown this clip – they show us the towers being impacted by planes, and the fireballs, and the collapse over and over – but this third building, with an inexplicable collapse, although it did have minor fires, no steel frame skyscraper has ever collapsed due to fire. ? We had a fire in the Madrid Windsor Tower last year, burned for 20 hours, a raging inferno. The people of Madrid assumed, like 9/11, this tower was going to collapse and yet it didn’t. CNN: Michael, do you think there has been a huge government cover-up, as Charlie Sheen is alleging on September 11th? MIKE BERGER: I do. I do. I think many of the commissioners themselves have had conflicts of interest. They did not follow the investigations to where, uh, truly independent commission, which is what Charlie Sheen has called for. ? Truly independent voices, raising questions, calling on the government to release information like Pentagon surveillance video tapes. ? Video tapes from the Sheraton Hotel and the Citgo gas station. Evidence about the black boxes located at ground zero, which a firefighter had stated, prior to the 911 Commission Report coming out in 2004.